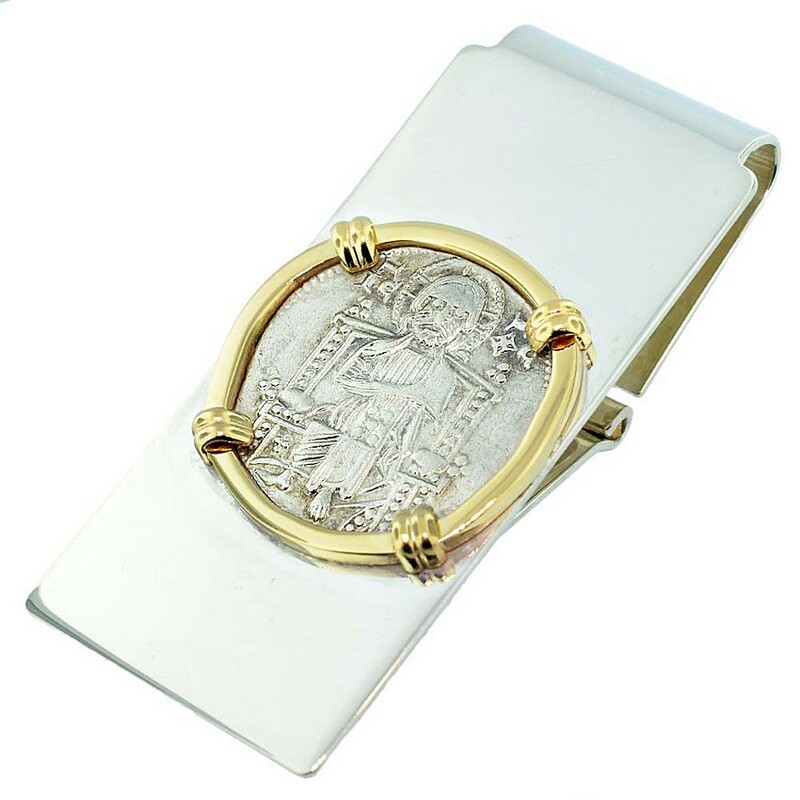 Silver Grosso Coin set in 14k Gold Bezel on Hinged Sterling Silver Money Clip. 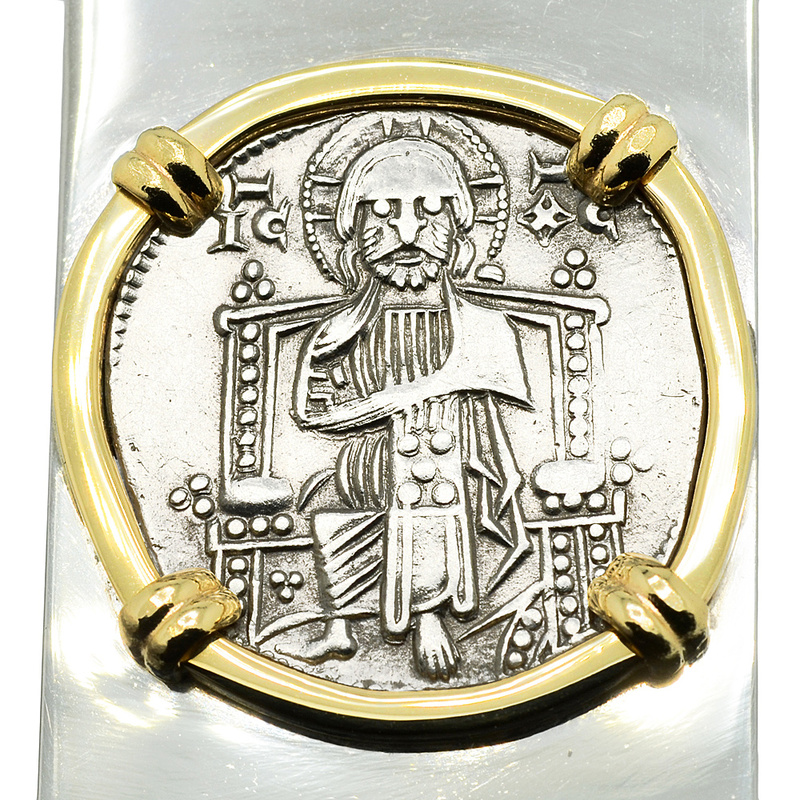 This genuine silver Grosso coin was hand struck in Venice during the Medieval period. 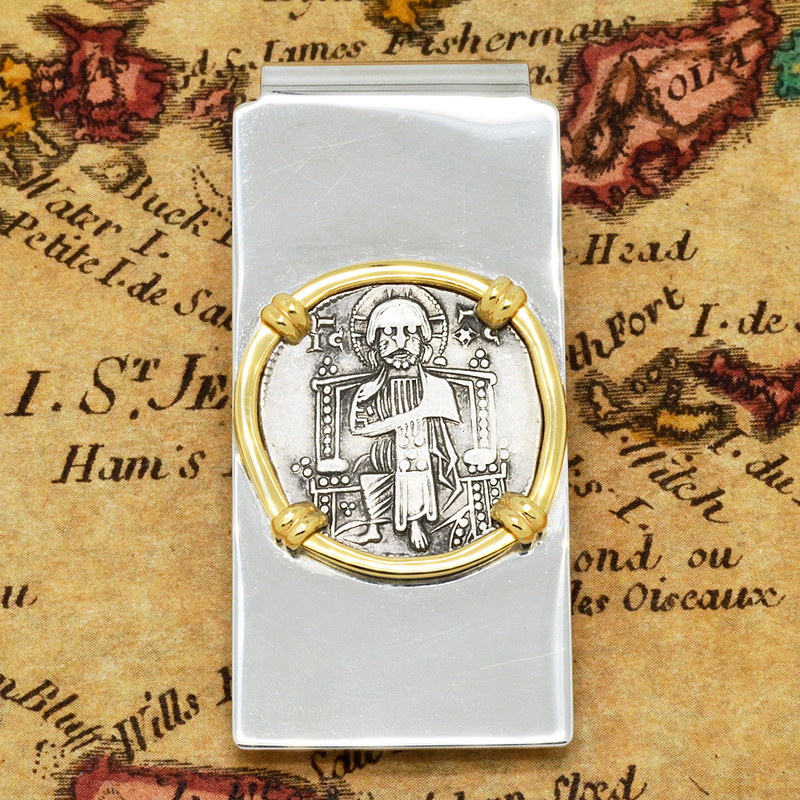 Jesus Christ is featured on the obverse enthroned while wearing a nimbus crown. 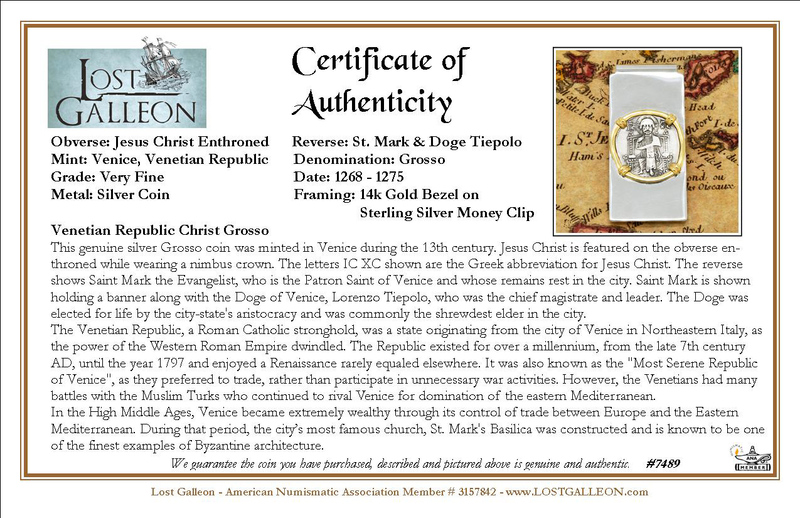 The Reverse depicts Saint Mark the Evangelist who is the Patron Saint of Venice and whose remains rest in the city. Saint Mark is shown holding a banner along with the Doge of Venice, who was the chief magistrate and leader. The Doge was elected for life by the city-state's aristocracy and was commonly the shrewdest elder in the city. The Venetian Republic, a Roman Catholic stronghold was a state originating from the city of Venice in Northeastern Italy as the power of the Western Roman Empire dwindled. The Republic existed for over a millennium, from the late 7th century AD until the year 1797 and enjoyed a Renaissance rarely equaled elsewhere. It was also known as the "Most Serene Republic of Venice" as they preferred to trade rather than participate in unnecessary war activities. In the High Middle Ages, Venice became extremely wealthy through its control of trade between Europe and the Eastern Mediterranean. During that period, the cities most famous church, St. Mark's Basilica was constructed and is known to be one of the finest examples of Byzantine architecture.